Running an ecommerce business in 2017 can be difficult due to increasing competition. However, with the right ecommerce website features in place, you can relax and operate your online business peacefully. Important ecommerce website features can range from content management system to complex artificial intelligence driven algorithms for recommendation engine but there are certain features that you may still miss out if you don’t know them already. To help you make an informed decision, here are 5 features that you should look out for while starting your ecommerce business. 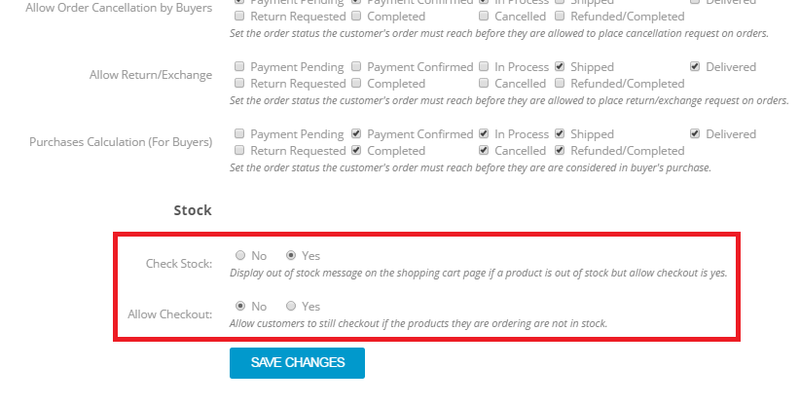 How would you feel if an “Out of Stock” message is displayed just before the checkout? All the efforts put in researching about a product and to find the best price goes to waste when “Out of Stock” message is not shown at the right time. It is disappointing for a buyer to go through such an experience and in most cases increases the shopping cart abandonment rate significantly. The main reason why such incidents happen is because the ecommerce website admin or seller fails to keep a close watch on decreasing stock. An ecommerce platform, which can monitor stock automatically and display an “Out of Stock” message to the buyer without the need for the admin to intervene is one of the prerequisites of ecommerce marketplaces. Furthermore, the stock monitoring option should also be made available to seller primarily, which can enable him/her to keep a healthy amount of stock and receive notification if the stock quantity falls below a certain number. 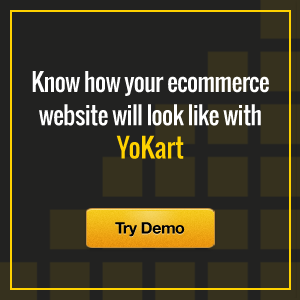 Want to know how to attract customers to your ecommerce store? 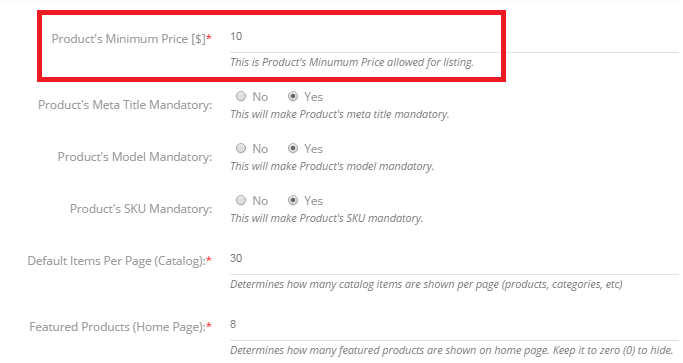 Being the owner of an ecommerce website, you should be able to specify the minimum selling price allowed for a product. In many cases like of low priced products (that lack specification of minimum selling price) the high/varied cost of delivery can disappoint buyer or be loss-making for the seller. To keep from such hassles it’s better to specify a price below which an item cannot be sold. This would also save you from buyer’s disappointment that usually evokes on seeing high delivery cost per product. On a serious note, high delivery cost can also drive the buyer away to your competitors but if the minimum selling price is fixed judiciously the seller need not add more delivery charges on small orders. For an ecommerce platform focusing on wholesalers, offering the “Minimum Quantity” option for each product is a must-have option. This is preferred by those vendors, who produce on a large scale and want to sell products at wholesale price (lower than the retail price). If no minimum limitation is set, you may end up getting more orders from end consumers who will order just one or two units whereas retailers buy in bulk. So targeting right audience more efficiently demands attention towards such details. Handling an ecommerce marketplace can be a tedious job if you don’t have additional help. If you want to bring more admin users to help you manage the ecommerce business, then consider choosing an ecommerce platform which offers wide-ranging permission options. Some important permissions that can help you limit the access for other team members include access to payment gateway, PPC module, affiliate module, database backup and restore, empty cart management, website theme management, discount coupon management, etc. Starting a multivendor ecommerce business will require you to partner with sellers. While doing so, some sellers will agree to your terms and conditions but a majority of them will try to negotiate. To get most out the deal, offer them flexible terms before finalizing a commission rate on the basis of product category, vendors (vendor specific), and product. Depending on just one or two sources of revenue is a no-win situation for an ecommerce startup. To ensure sustainability of business, it is important to have multiple sources of revenue like PPC advertisement, commissions, etc. Furthermore, you can offer subscription-based model to sellers registered on your ecommerce website. Doing so will enable the seller to pay on monthly basis for listing a certain number of products, irrespective of whether a sale is made or not. Building a feature-rich ecommerce website can take few months and can cost a lot of money. By choosing an ecommerce platform, you can save a lot of time while operating your business. 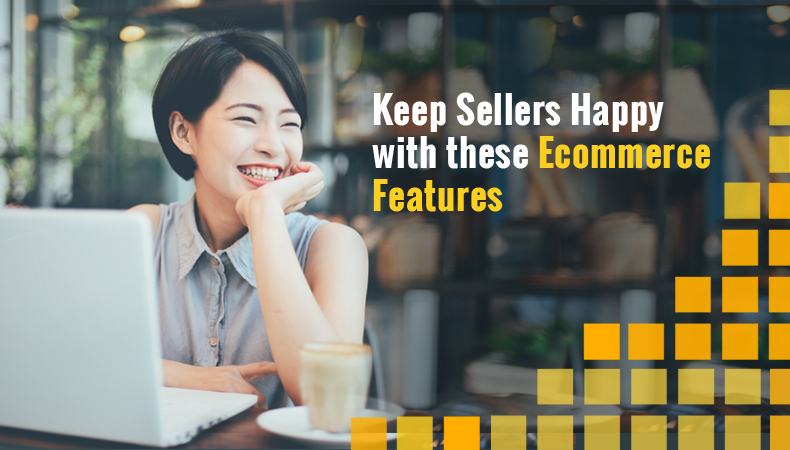 While doing so, integrating above-mentioned features will help you run your ecommerce business efficiently and keep vendors happy. Still have a query about website features, functionality or anything else about starting an ecommerce business? Drop us a message and we will guide you.